We want to create vibrant, thriving communities that are food secure. Food4Good has many different food programs in the areas of growing, cooking, food access and education/advocacy. Want to get more involved in your community or learn about food justice? Volunteer with us! We are busy creating the Food4Good Centre on Stony Plain Road to house all our programs and more! 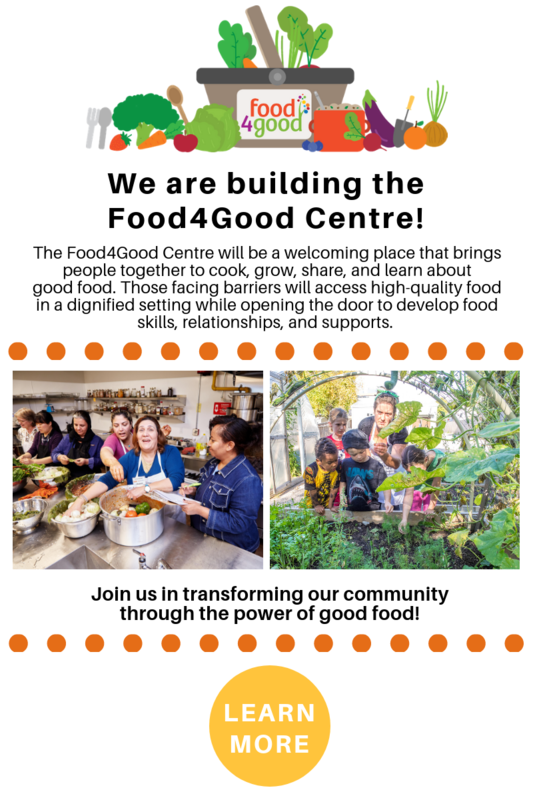 Food4Good is the food programming division of the Jasper Place Wellness Centre, which is a registered charity. 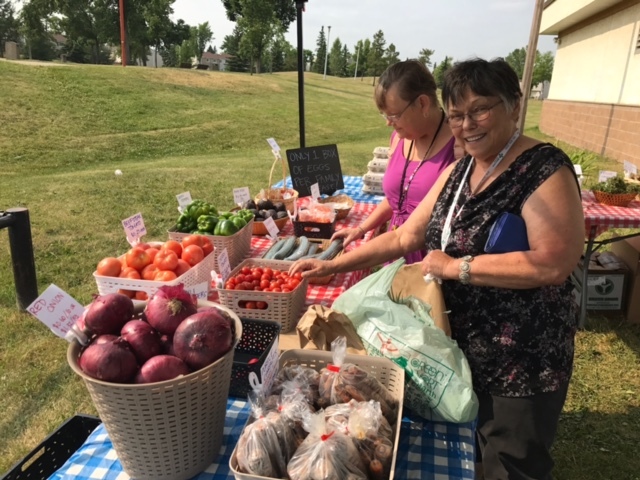 Food4Good is the result of collaboration between organizations and residents to address food insecurity in Edmonton's west end. 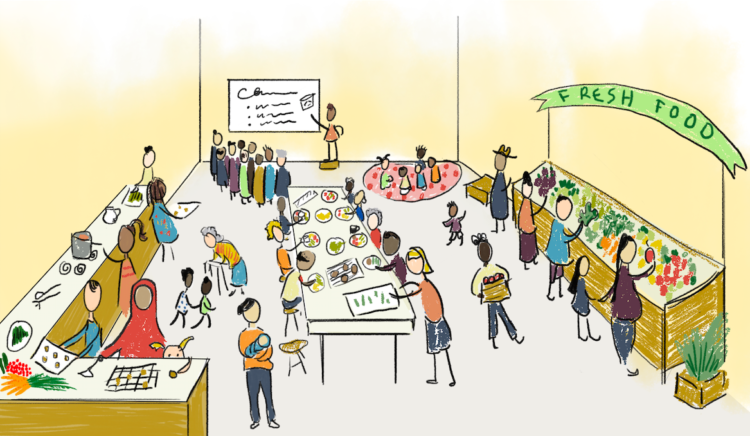 We strive to create communities where food is a driving connector for learning, sharing, growing and celebrating. 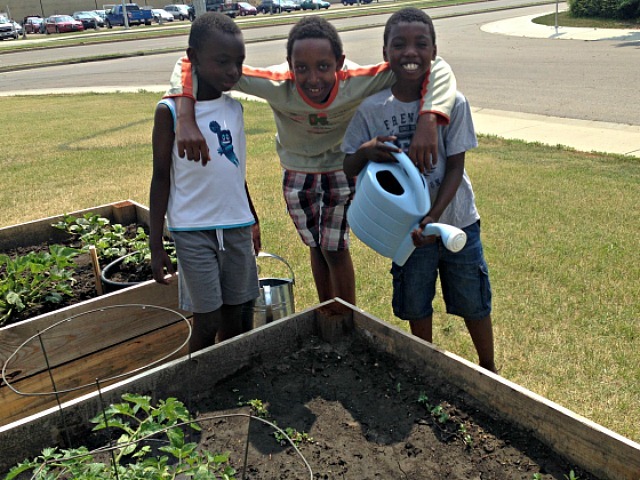 Our work is based in 10 west end neighbourhoods, with four main focus areas: Growing, Cooking, Access and Advocacy. We coordinate community garden space at many locations in the west end, including church properties, apartment complexes, and in private backyards. We also have a community compost site, and facilitate workshops on seeding, container gardening, worm composting and many other growing topics! If you're interested in exercising your green thumb, contact us. Through cooking and eating, we aim to build food literacy within our community, while sharing skills, cultures and reducing social isolation. We organize Collective Kitchens, cooking workshops and kitchen education for elementary students through our local Boys & Girls Club. Increasing access to healthy, affordable and culturally-appropriate foods for all is a large part of our vision. We are currently run Affordable Produce Markets twice a month in west end community leagues. 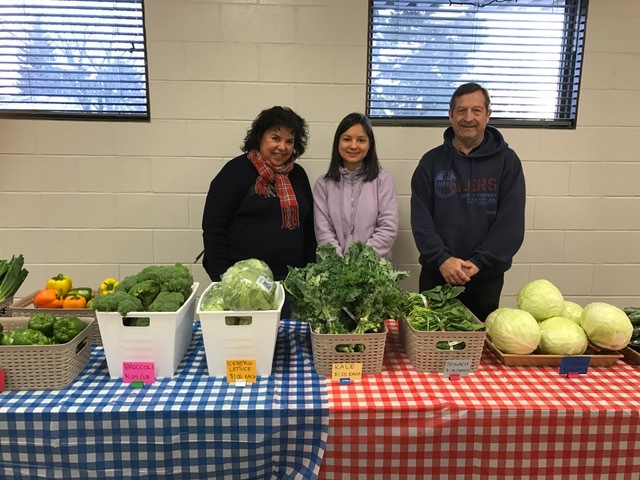 Through bulk buying, retail partnerships, and healthy food donations, we are able to provide fresh foods to our community at 30-50% lower than grocery store prices. Check out Our Events to see the upcoming market schedule. We emphasize the assets our neighbourhoods have to offer and build relationships between individuals and organizations. We want to provide opportunities for community members to find their voice on food security issues and their systemic causes, while supporting people to become advocates of change in their own networks. We are proud to have been recognized as a Good Food Organization through Community Food Centres Canada since 2015. This means we are part of a national network of organizations working towards a healthy and fair food system by offering programs that build health, equity and skills.